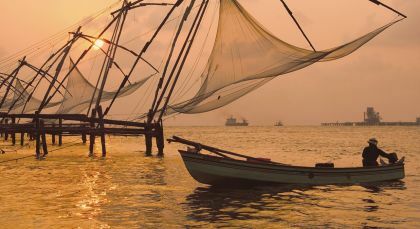 Discover verdant tropical landscapes and enjoy tranquil stays by the waterfront on this tour of India and Sri Lanka. 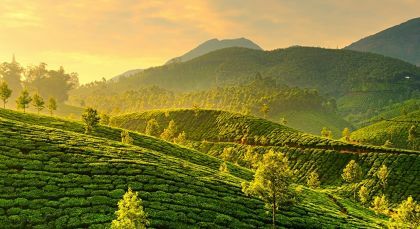 Begin your journey in Kerala – often called ‘God’s own country’, Kerala offers lush landscapes, plantation visits in the cardamom hills and pristine beaches. 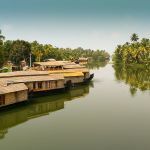 A houseboat takes you deep into the intricate network of backwaters that traverse almost all of the hinterland, and afterwards, you can enjoy leisurely walks in Cochin’s picturesque old town. 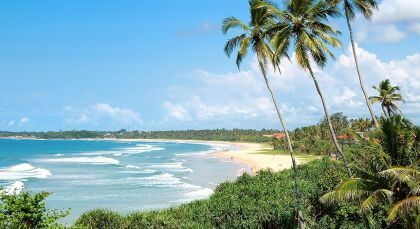 Travel on to the gorgeous beaches of Sri Lanka for your fill of sun and surf. Relax under swaying palms and rejuvenate your body and soul with Ayurvedic massages at charming resorts. 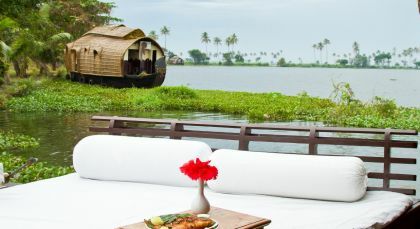 With its myriad activities, Spice Tree caters to both the nature enthusiast and the incurable romantic. The day begins with yoga at 0730 hrs, a guided Bison Valley Plantation Village Walk at 0830 hrs, followed by an Ethnic Cooking Class. At 1600 hrs it is time for Tea Tasting with experts, followed by a trek to the Dolmen Houses – remnants from the Stone Age, at 1700 hrs. For guests who are more interested in botany, the resort also offers Nature Walks with a trained naturalist. Kids will love the Origami session or the Towel Art Session in the afternoon. Set out to observe wild elephants and birds in their natural habitat at Minneriya Park, ideal for the ‘off season’ safari enthusiast. 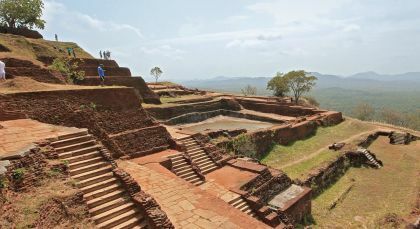 Situated in the North Central Province of Sri Lanka betwixt four ancient cities, it spans 8,889 hectares and offers visitors the chance to observe animals from a suitable distance without disturbing the natural environment. Spot large herds of over 100 elephants and look out for birds like the Sri Lanka Jungle-fowl, Sri Lanka Hanging Parrot; mammals like Sambar, Spotted Deer, Leopard, Sloth Bear. You might also spot endemics like the Toque Macaque and Purple-faced Langur. 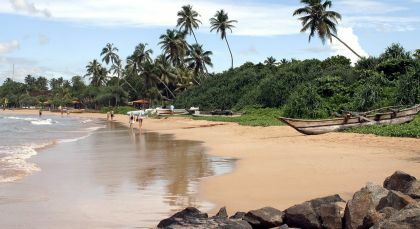 Bentota offers a pristine beachside experience in southwestern Sri Lanka. Discover the cosmopolitan capital on this leisurely walk through shaded boulevards, spotting heritage buildings and iconic landmarks. 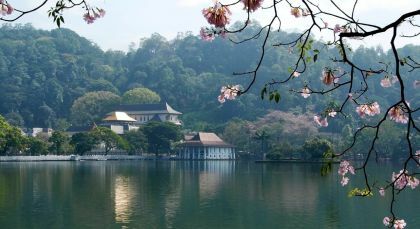 Excursions to various parts of Colombo are possible depending on the time available to you. Explore the Fort with its distinctive colonial architecture, before ambling down to the lively local markets at Pettah. If the streets are crowded, worry not! Your car is available to transport you to the varied attractions so you can avoid the rush. You can stroll along Sea Street or stop by Hindu temples and Muslim mosques that stand next to each other in this neighborhood. There is also the option of visiting the city’s landmark Town Hall and Old Parliament buildings, near Lipton Circle and Independent Square, for a better understanding of the history of this island nation. 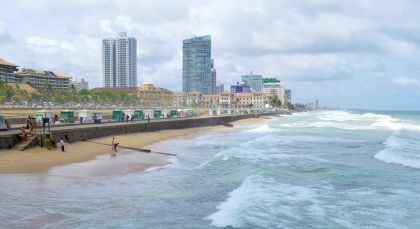 Take in the city’s posh neighborhoods around Cinnamon Gardens if you have time, or head straight for the beaches along the waterfront at Galle Face Green. (Half Day; Time of Day: Afternoon; Duration: 3 hrs; Private Activity & Transfer; Fitness Level: Easy; Please bring comfortable walking shoes; Option of tour by car). As soon as we connected, I felt very confident that the team would manage our trip well, and was not disappointed . Excellent accommodation, activities and guides meant we had a fabulous holiday.